The Board office will be CLOSED at 2pm on Thursday April 18th and will reopen on Monday April 22nd at 8:30am. The Board will be holding a special meeting on April 29th, 2019 at 9:30am at the Board office. *For Board approved Continuing Education classes/seminars, click here. Please watch the ND State Board of Cosmetology Safety/Sanitation video below. For information on Board Meetings and dates, click on the "About Us" tab. To watch the Infection Control Seminar given by Leslie Roste, click here. Read our 2017 Newsletter here! Read our 2015 Newsletter here! We've moved! The Board office is located at 4719 Shelburne St.; Suite 1, Bismarck, 58503. This is also our new mailing address. We will no longer use the PO Box number. For questions regarding micro-blading and other invasive practices, click here. If you have questions regarding the transfer of an out of state license to ND, please click here. 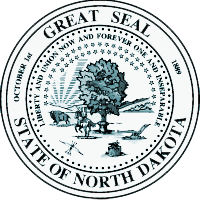 STATE OF NORTH DAKOTA WITHOUT A CURRENT AND VALID NORTH DAKOTA LICENSE.